Class 8MA are working on improving their gymnastics techniques as part of our regular PE learning. The pupils have focussed on two key activities: jumping and rolling. Two work stations were set up in the Turney gym. The first involved a bench leading to a trampette, and then a landing mat. 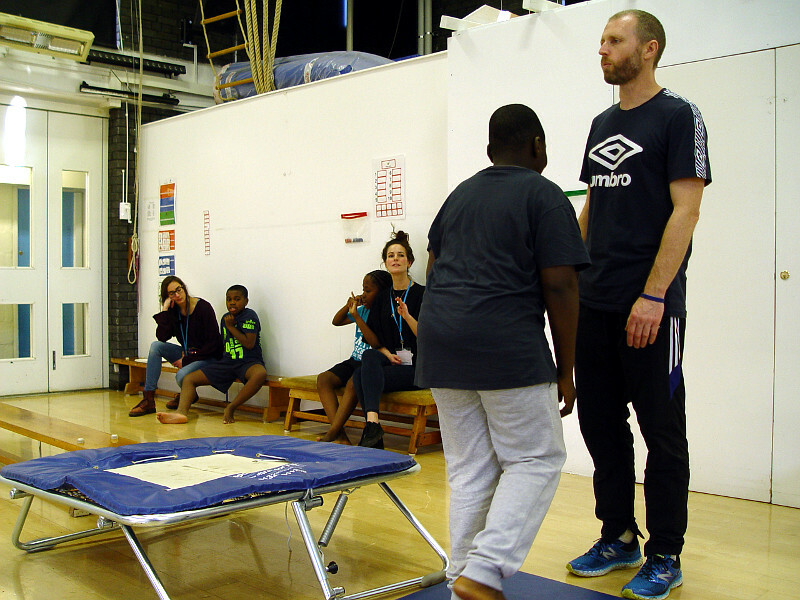 PE teacher Mr Jones helped the students to balance along the bench and then mount the trampette. This was also an exercise to help with focus and listening skills. Mr Jones told each class member how many bounces they needed to carry out on the trampette. The final movement was a tuck jump and a safe landing on the large soft mat. The second work station was a series of mats for the pupils to roll along. 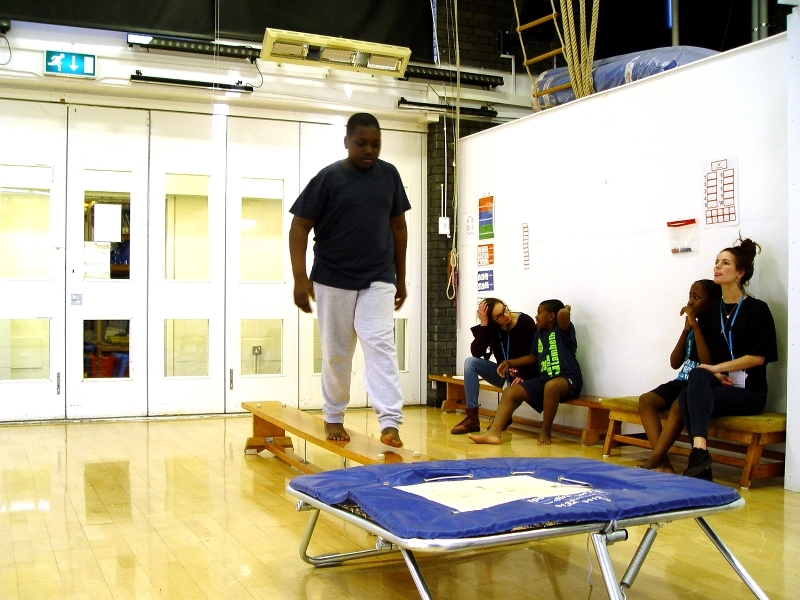 The aim was to be aware of our body movements and use coordination to remain on the mats.